What a fun surprise! I had to share with you. 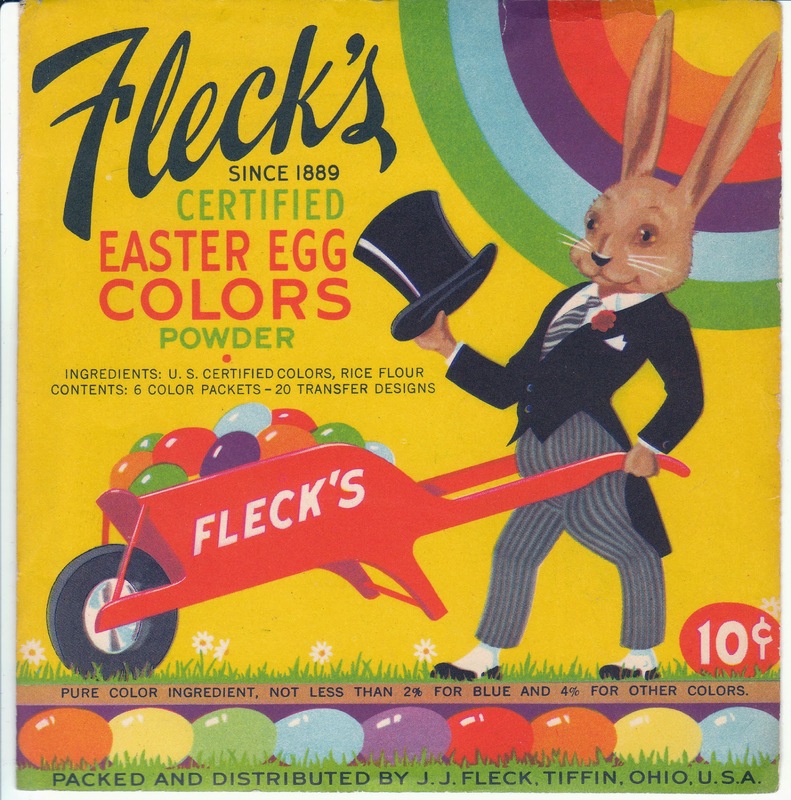 My best friend, who knows how much I love whimsical holiday ephemera, just brought me this packet of Fleck's Certified Easter Egg Colors. From the design, I would date this as 1930's vintage. 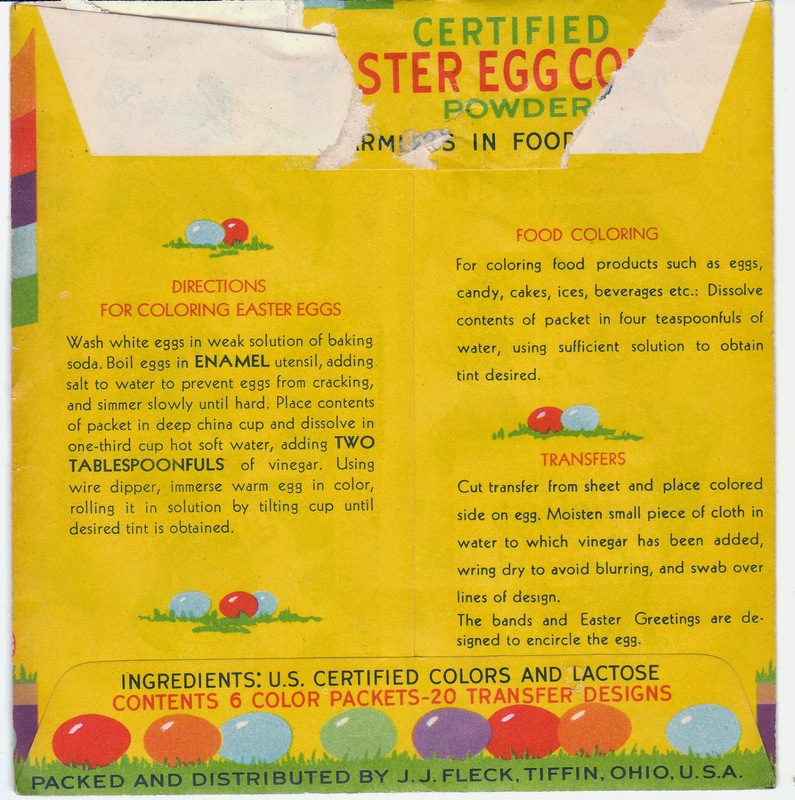 The package is opened and does not contain colors. 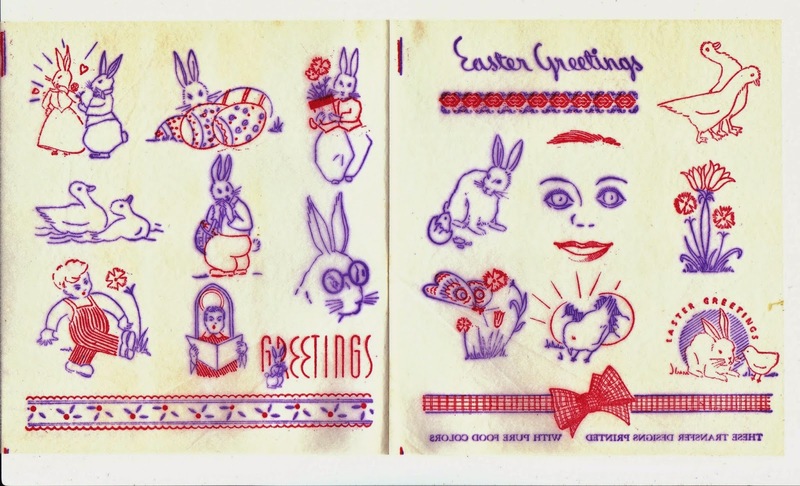 What it does contain is lots of gorgeous transfers and paper designed to decorate Easter eggs. 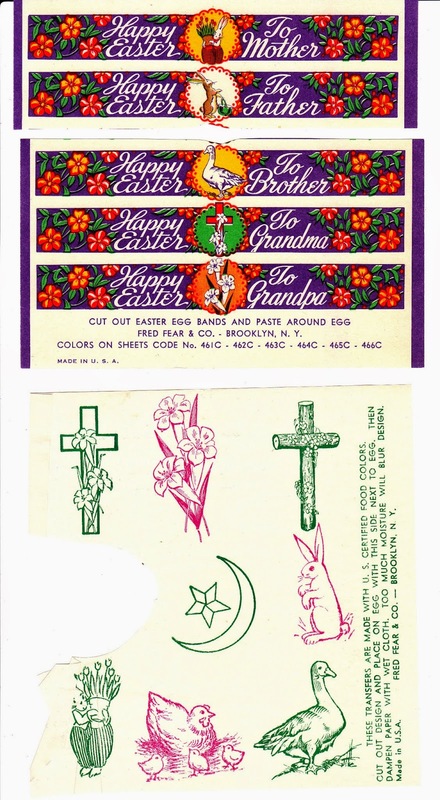 I have a small vintage Easter collection, and I will treasure this. I absolutely love the designs. 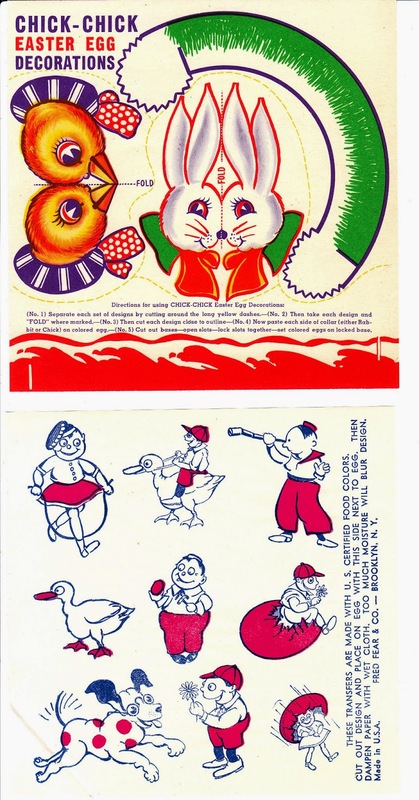 I scanned the front and back of the packet and just a few of the transfers inside to share with you. 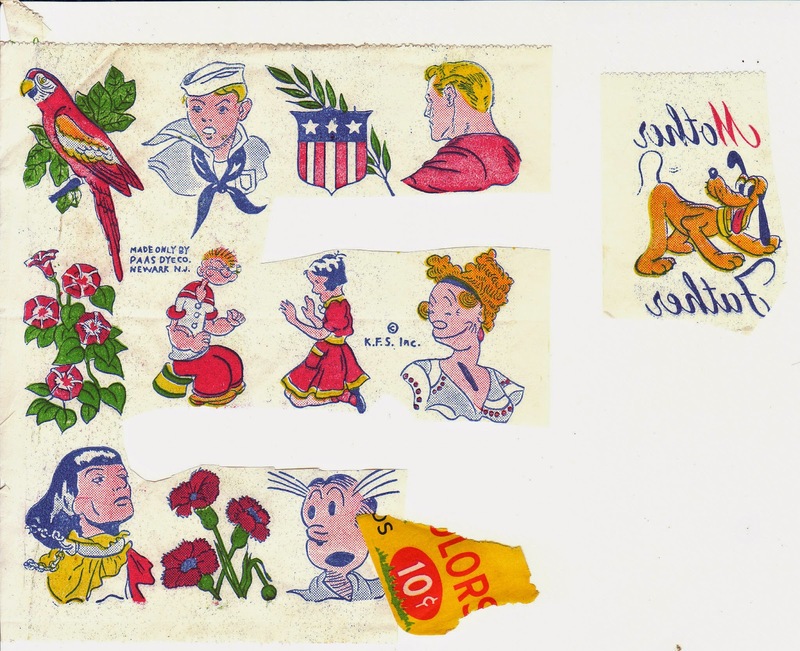 I found it interesting that there were some comic strip and pop culture characters included, like Pluto (Disney) and Dagwood Bumstead. Thought you might enjoy these pics as well! These are really, really neat! Dave, thank you so much for these! They are really so cute!